A two‐day workshop focusing on the essential professional skills required for a successful career in the broad areas of engineering and science. The program includes lectures from speakers within academia, research labs, industry, and government departments. This workshop is particularly suited to graduate students and post‐doctoral fellows. Fee: $25 (incl. tax) for tea/coffee and lunches for both days. 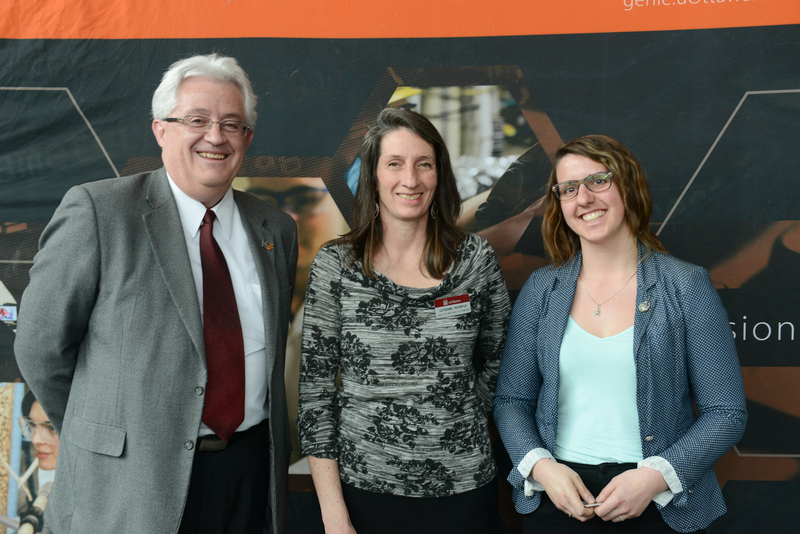 Now at its ninth edition, the Faculty of Engineering Graduate Student Poster Competition allows students to showcase their research to the experts and public alike, often for the first time. Most of the judges are experts from industry and Ottawa’s world-class R&D organizations or sometimes investors with a trained eye for breakthrough ideas. Along with demonstrated expertise in their chosen fields, students must also know how to sell their ideas and market their research. 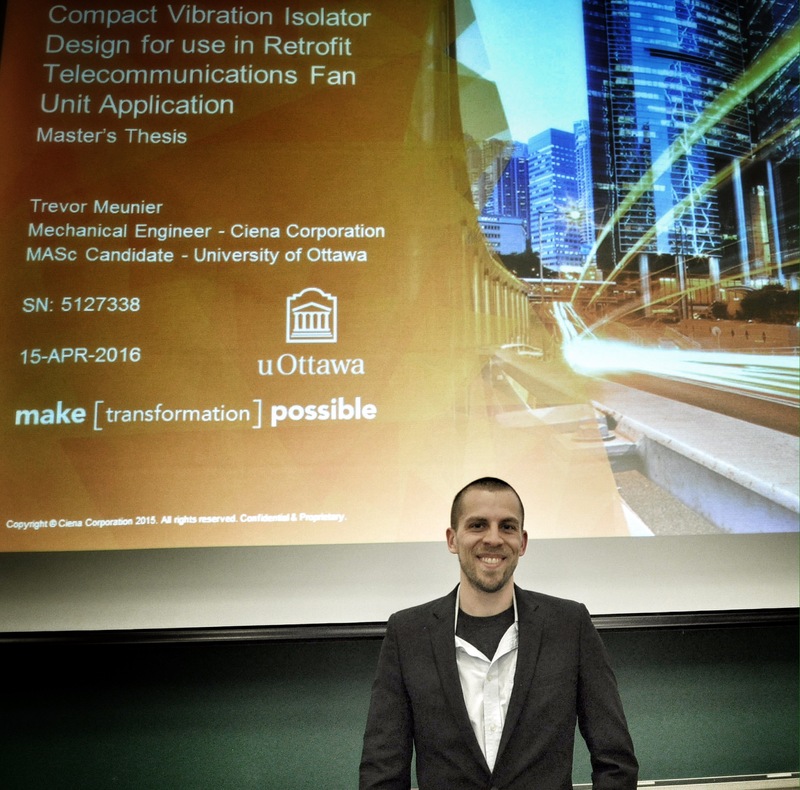 “This competition is a great way for students to make contacts in industry and R&D ventures – for potential employers this is a great opportunity to see the cutting edge research underway at the graduate level,” said the Vice Dean of Graduate Studies, Dr. Ioan Nistor. 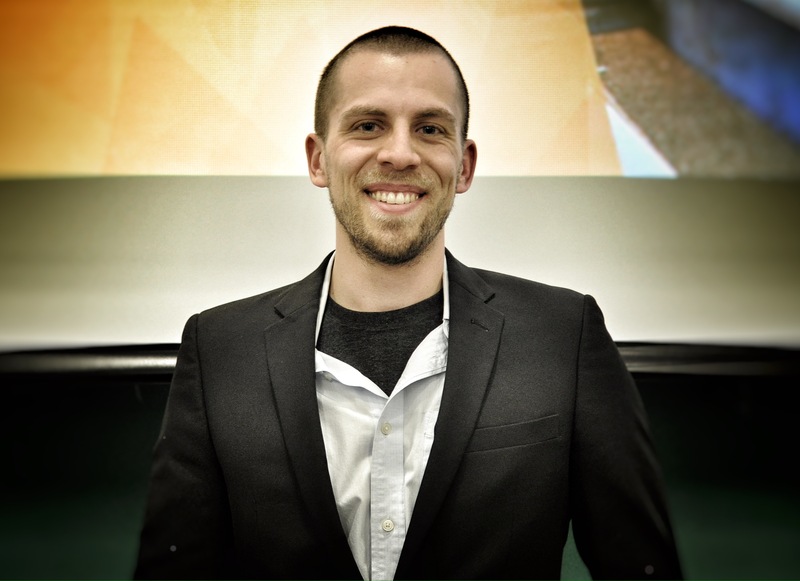 1st: Alex Steeves – Characterization and in Vitro Bioactivity of Poly (Dopamine). 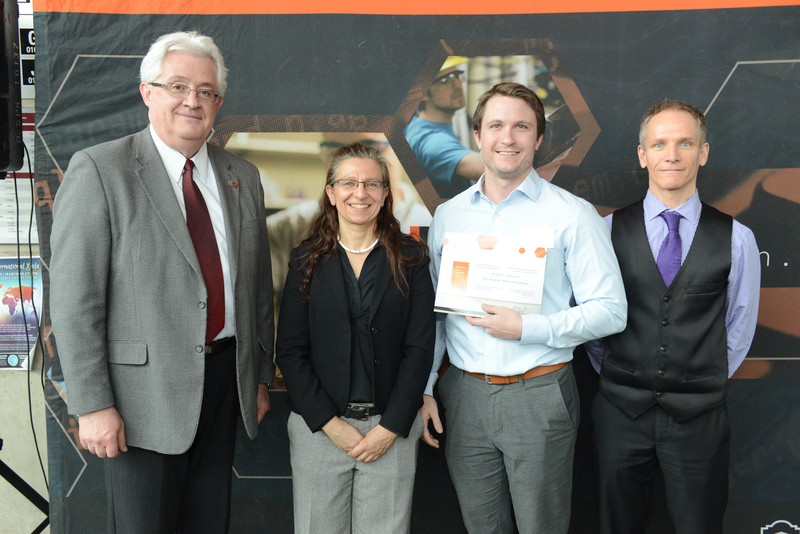 2nd: Daniel MacDonald – Additive Manufacturing of Titanium Using Cold Spray. 3rd: Ruben Fernandez – Deposition and Simulation of Thick Copper Cold Spray Coatings on Steel for Used Nuclear Fuel Repository Using Nitrogen and Pulsed Waterjet Surface Preparation. Honourable Mention – Maxime-Alexandre Ferko – Effects of Cobalt Ions from Hip Implants on Inflammasome Activation in Macrophages in Vitro. 2nd place in the Masters of Engineering category: Aditi Khandelwal – Navigation Guidance to the Visually Impaired Using a Programmable Robot. 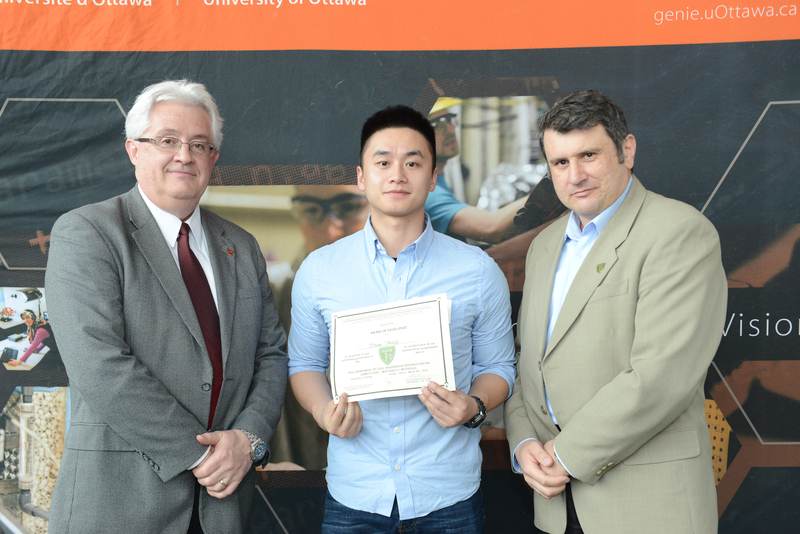 Mechanics / Materials Award from the Canadian Society for Civil Engineering: Shuai Yang – Design, Modeling and Testing of a Two-Term Mass Device with a Variable Flywheel. Women in Science and Engineering (WISE) Best Female Presenter (Honourable Mention): Catriona S. Czyrnyj – A Semi-Automated Approach to the Measurement of Urogenital Kinematics in the Sagittal Plane. 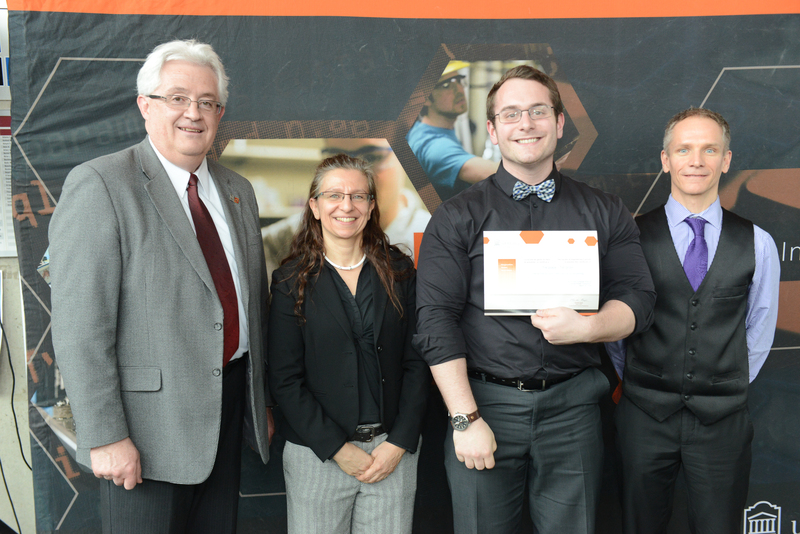 Alexander Steeves with me, Dean Lague (L) and former department chair, Dr. Bertrand Jodoin (R). 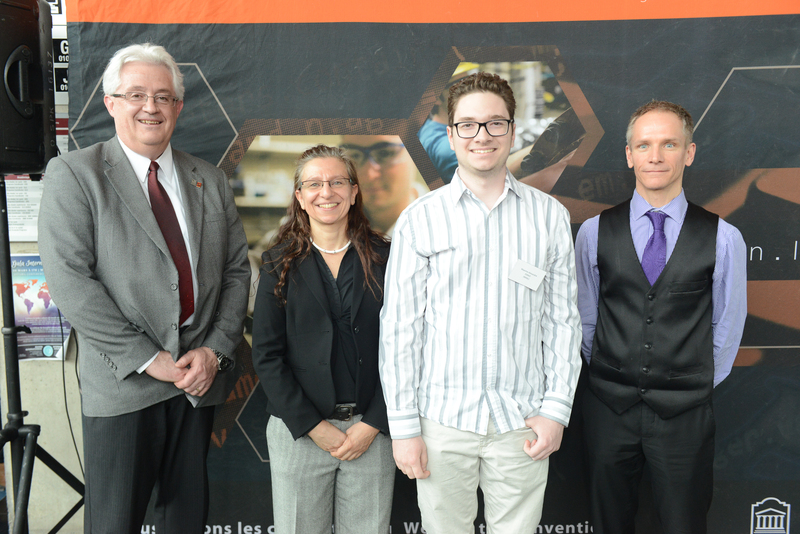 Maxime-Alexandre Ferko with me, Dean Lague (L) and former department chair, Dr. Bertrand Jodoin (R). Dan MacDonald with me, Dean Lague (L) and former department chair, Dr. Bertrand Jodoin (R). 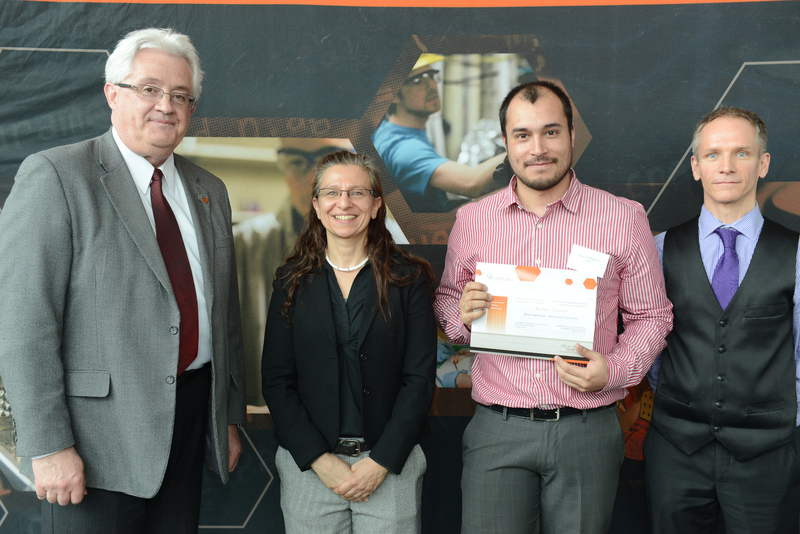 Ruben Fernandez with me, Dean Lague (L) and former department chair, Dr. Bertrand Jodoin (R). 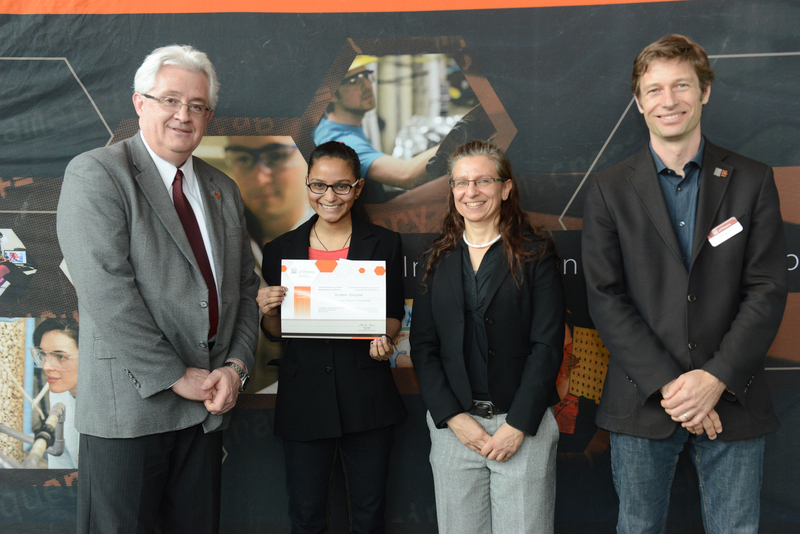 Aditi Khandelwal with me, Dean Lague (L) and Civil Engineering department chair, Dr. Colin Rennie (R). Shuai Yang with Dean Lague (L) and Canadian Soceity for Civil Engineering representative (R). Catriona Czyrnyj with Drs. Lague and Mavriplis. Last but not least….one more poster from our graduate student poster competition. 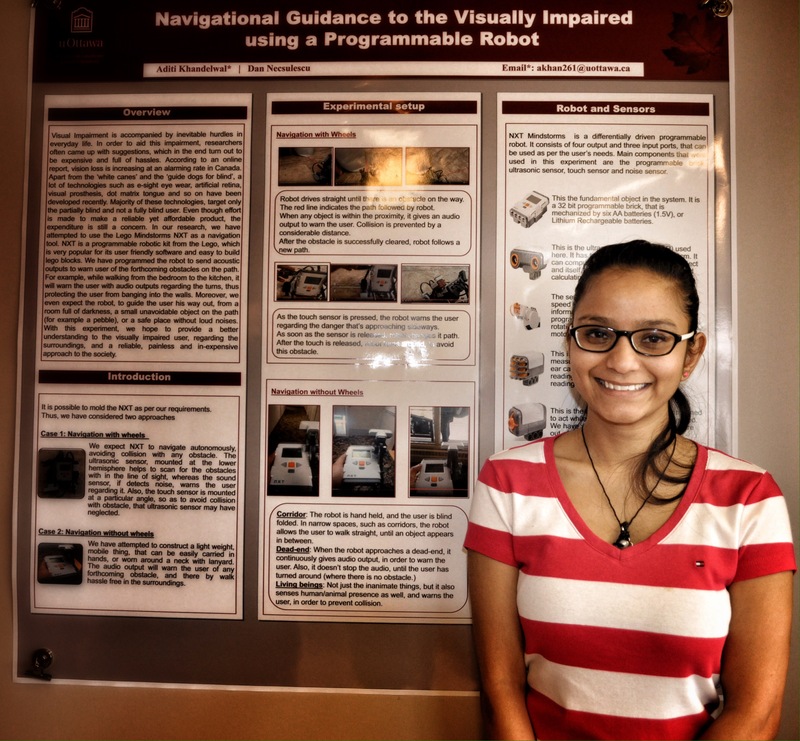 Here is Aditi Khandelwal with her poster – Navigation Guidance to the Visually Impaired Using a Programmable Robot. Aditi’s poster actually won the second place prize in her division (MEng division). Congrats, Aditi – MCG is very proud of you! 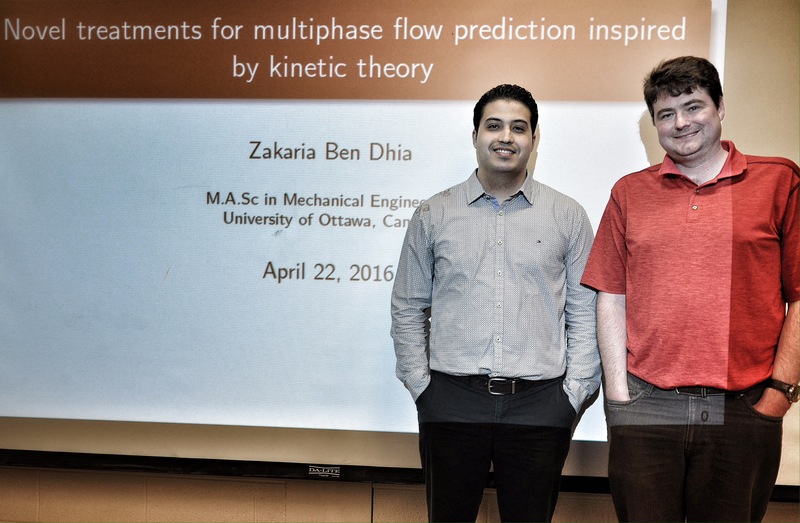 The faculty of engineering’s annual graduate student poster competition took place last Wednesday. MCG was well represented (one of our students even won a mechanics and materials prize from the Canadian Society for Civil Engineers!). Always a fun day, thanks to everyone who participated including our volunteers. Last Friday, Dr. Hallett spoke to our group of graduate students and gave a presentation on ..how to give (or not give) a presentation. The slides from the presentation are below, in addition to some further tips.